Say what you want about coffe and it’s health-effects on your body. I do drink coffe but try to keep it to one or two cups a day on a regular working day. So, vaction is over and I’m back at my workplace, picking up a cup of cappucino from the coffe-machine we have here and settle down to drink my cup of good-morning. 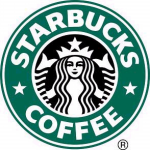 Holy freakin’ spagetti-monster the coffe in these machines taste like crude oil mixed with sewer-water. Usually one get used to the taste and therefore it works out fine to drink it but after a couple of weeks of good coffe (the one where there are actual coffe-beans involved in the making, not just something with a characteristic of coffe) it is almost undrinkable. If it was not for the fact that I don’t have anything else to drink around here, I would not have drunk it. So I just returned back to Sweden after a three week and a 7500km trip which have taken me from the western part of Russia all the way to Beijing, China by train. I have done something that I’ve always wanted to do; I traveled the trans-Siberian railway together with my camera and a few of my great friends. About a thousand pictures later I am back home. All in all the trip was truly amazing and it gave perspectives on both our western style of living and also memories of places I will never forget. I will publish a breakdown of the trip in the time to come but I will start with a general conclusion of the entire trip. First of all we chose to travel the path also known as the Trans-Mongolian railway. 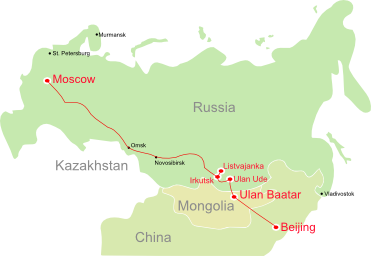 In short the railway bring you from Moscow, Russia to Beijing, China by traveling straight through Russia until one reach the Mongolian border where it takes a turn to the south and then pass through Mongolia (and the Gobi-desert) into China. Our main reason to chose this route instead of the route Moscow – Vladivostok was that we feelt that we wanted to incorporate Beijing in the trip to get a real taste of asia as well before returning back home. As a guide we used the book ‘The Transsirberian railway’ from Lonely Planet which I have to say was good in some ways but did also really lack in content in quite alot of places. We have started to write a description of errors we encountered which we will send to the publisher and I would not really recommend the book for soon-to-be-travelers of the route until a new review of the book is released. The trip itself was booked with help from a Swedish travel-agency where we got help filing for visas and tickets in the different countries. Much of the tickets could have been bought on location but due to the fact that they seem to be sold out now and then it can be much worth it to have the tickets already when leaving home. Keep an eye out on the blog for the first part of the breakdown, Russia!